29th October 1915, aged 19. INSCRIPTION. HE IS NOT DEAD BUT SLEEPETH. Son of Hugh and Elizabeth Mary McDonald, of Higham St., Maryborough, Victoria, Australia. Native of Homebush. 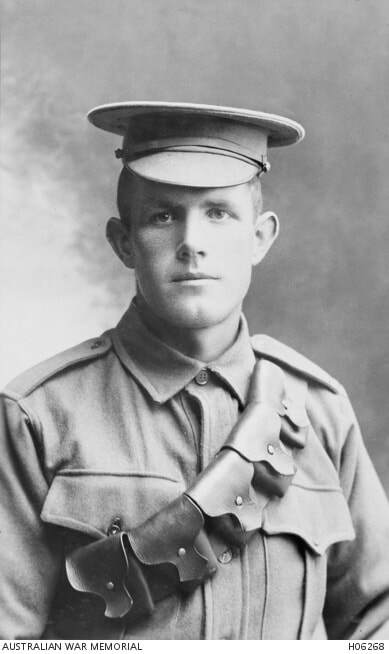 Portrait of 198 Private (Pte) Joseph Henry McDonald, 22nd Battalion. Pte McDonald enlisted on 8 February 1915 in Maryborough, Vic, and died of wounds on 29 October 1915 at Gallipoli, aged 19. 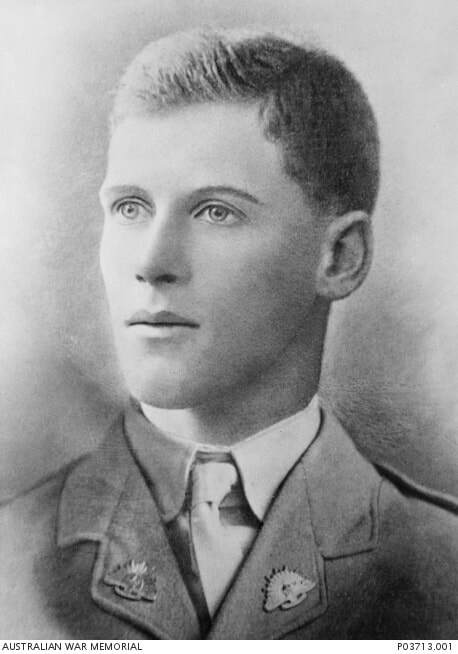 Son of Robert Neil McMillan and Christina McMillan, of Murchison, Victoria, Australia. Pre-war studio portrait of 341 Trooper Neil McMillan, 13th Light Horse Regiment. A farmer of Murchison, Victoria, before enlistment, he embarked from Melbourne at the age of 19 aboard HMAT Persic (A34) on 28 May 1915. 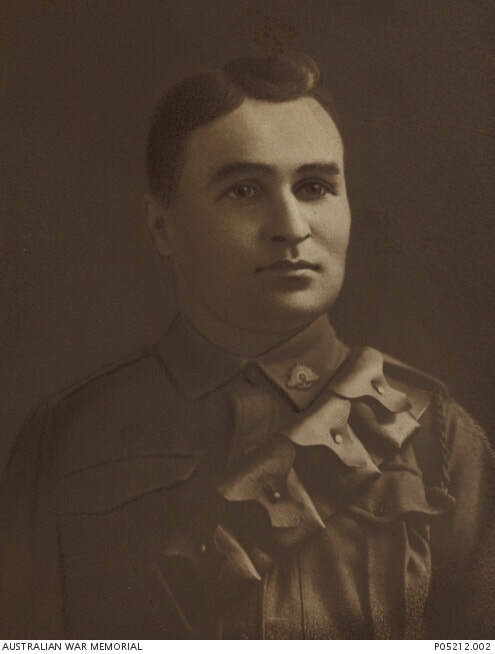 Tpr McMillan died of wounds received in action on the Gallipoli Peninsula on 25 November 1915. 7th August 1915, aged 45. INSCRIPTION. GOD STANDS WITHIN THE SHADOW AND WATCHES O'ER HIS OWN. Volunteer Long Service Medal. 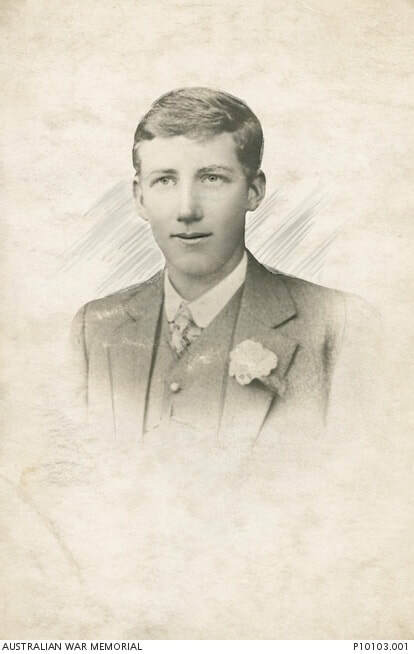 Son of Harry and Ellen Miell; husband of Lily Mabel Miell, of 4th Avenue, St. Peters, South Australia. Served in the South African War. Studio portrait of Lieutenant Colonel Albert Miell VD 9th Light Horse Regiment, who was killed in action at Russell's Top, Gallipoli Peninsula, on 7 August 1915. He was Mentioned in Despatches (MID) in the London Gazette of 5 November 1915. 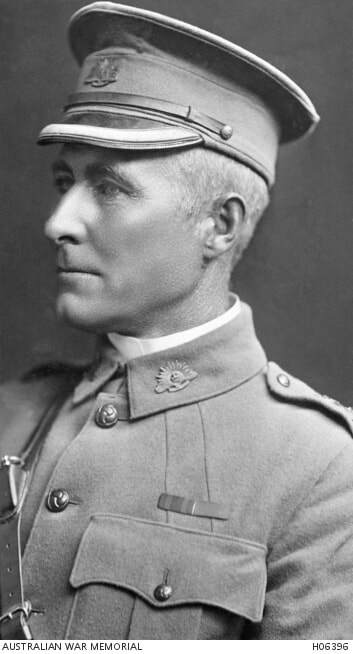 Lt Col Miell, of St Peters, SA, was a veteran of the Boer War serving as a lieutenant with the 5th (Imperial) Contingent from South Australia. His son 57175 Private Horatio Gordon Miell also served in the 9th Light Horse Regiment. 7th August 1915, aged 21. 7th August 1915, aged 39. Son of Andrew and Margaret Annie Rowan. Native of St. Kilda, Melbourne, Australia. Studio portrait of Lieutenant (Lt) Andrew Percival Rowan, 10th Light Horse Regiment (LHR). A grazier from Merredin, WA, at the time of enlistment, he embarked from Fremantle aboard HMAT Surada (A52) on 17 February 1915. Lt Rowan was promoted to Captain (Capt) after recovering from a minor head injury in June 1915. Capt Rowan, aged 39, was killed in action on 7 August 1915, whilst leading the charge at Walker's Ridge. 27th June 1915, aged 24. INSCRIPTION. I HAVE FOUGHT A GOOD FIGHT I HAVE KEPT THE FAITH. Son of John and Euphemia Adamson Smith, of Grassdale Estate, Grassdale, Victoria, Australia. Studio portrait of 666 Trooper (Tpr) Eoin Lindsay Smith, C Squadron, 8th Light Horse Regiment, of Tahara, Vic, aged 23. Tpr Smith enlised on 25 February 1915 and embarked from Melbourne aboard HMAT Star of Victoria. He was killed in action on 27 June 1915, at Lone Pine on the Gallipoli Peninsula. 3rd December 1915, aged 29. Son of the late George and Sabina Stolz. Native of London, England. Studio portrait of 1181 Lance Corporal (L Cpl) George Alexander Stolz, 1st Australian Stationary Hospital Army Medical Corps, of Park, SA. An engine fitter prior to enlistment he embarked from Melbourne, Vic on 5 December 1914 on HAMT Kyarra (A55). L Cpl Stolz was hit by a shell at Gallipoli while playing cards with his mates in a tent on the beach on 3 December 1915; he was 29 years of age. 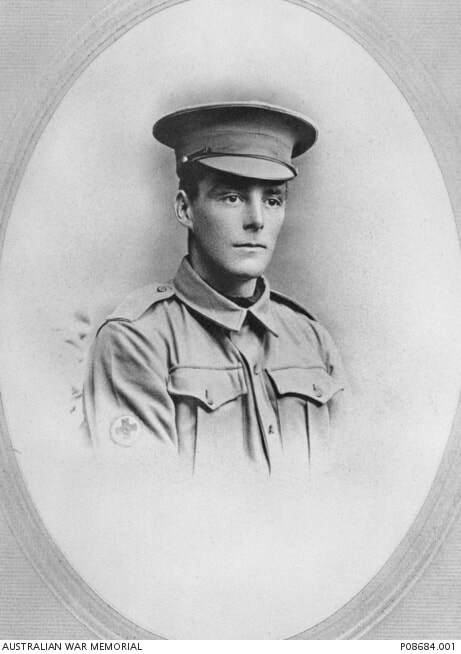 Studio portrait of 204 Private Thomas Francis (Frank) Weathers, A Squadron, 9th Light Horse Regiment, who died of wounds on 15 June 1915 at the Gallipoli Peninsula. 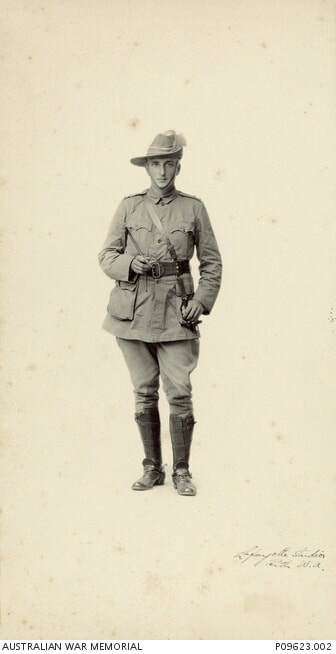 A coachman of South Australia, he enlisted in the AIF on 11 September 1914. 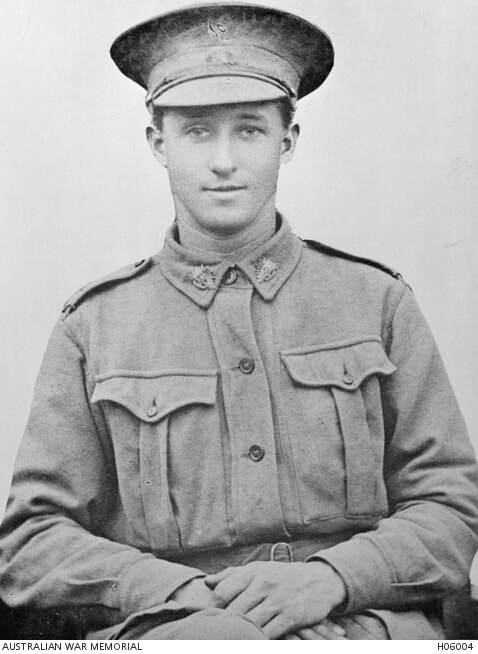 After receiving shrapnel wounds he was hospitalised at Anzac Cove, where he subsequently died. His burial was officiated over by Chaplain Edward Makeham. This image is the left hand section of a composite image of the three Weathers brothers (P05212.001).